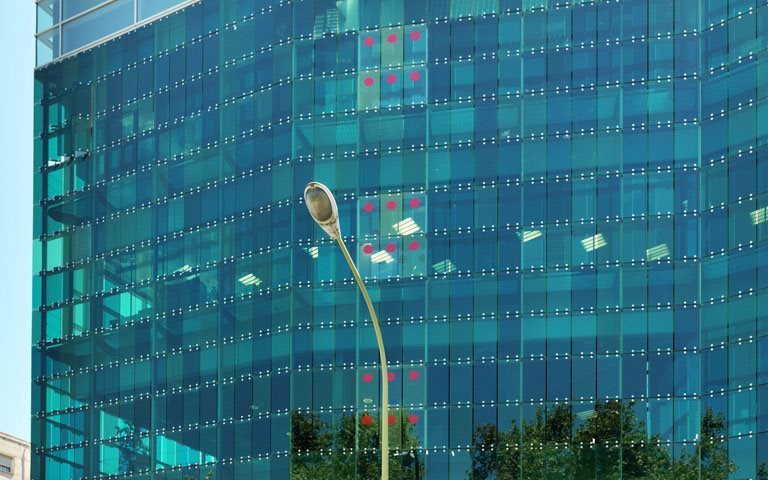 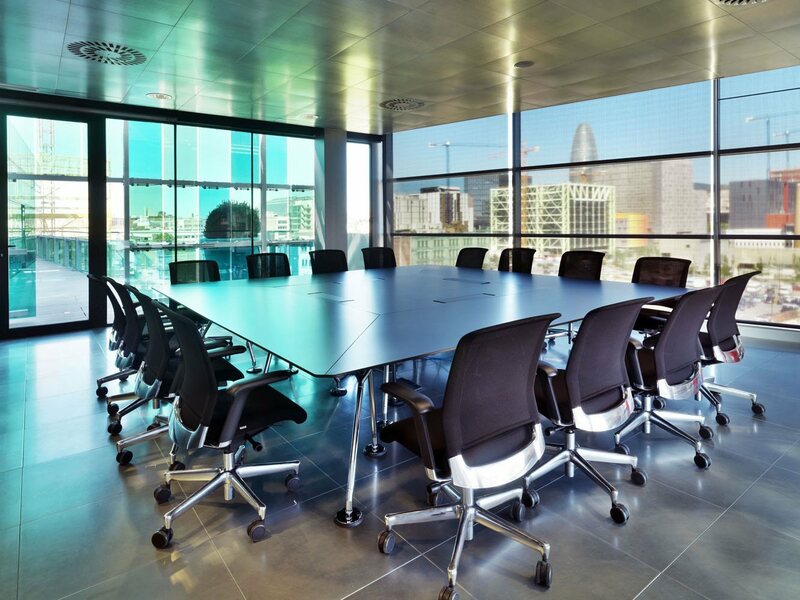 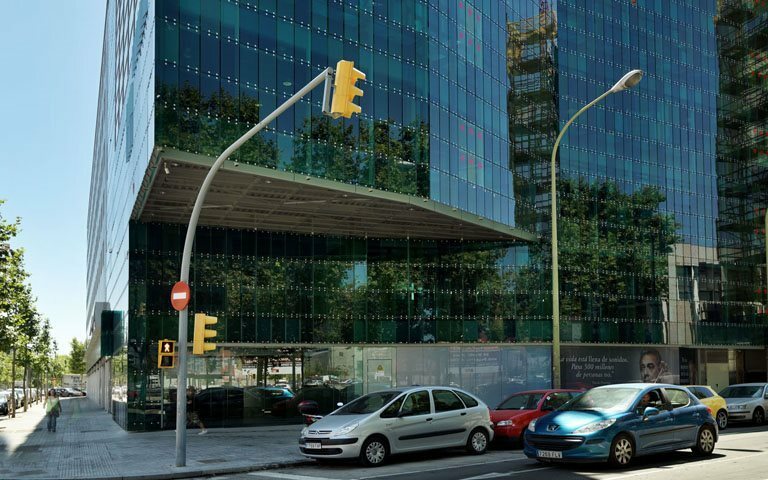 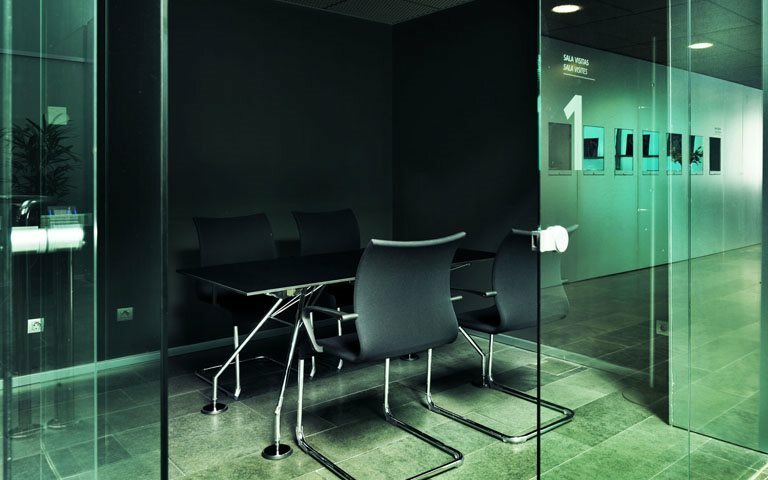 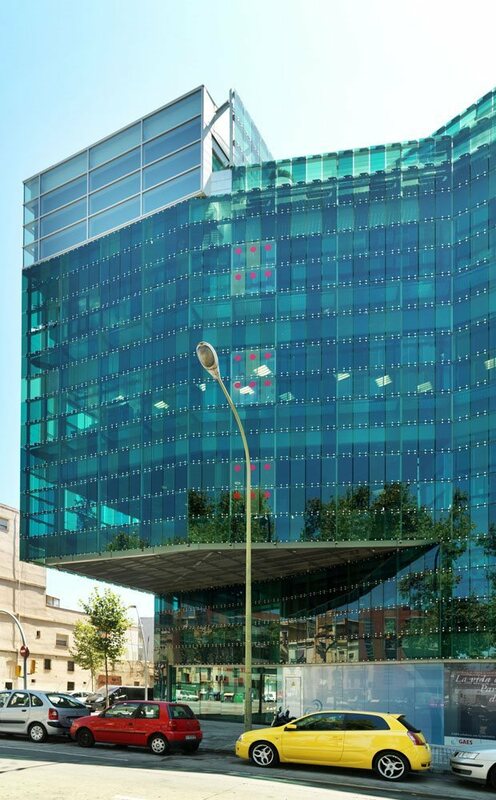 The project involved furnishing the meeting rooms, the directors' offices and the workstations. 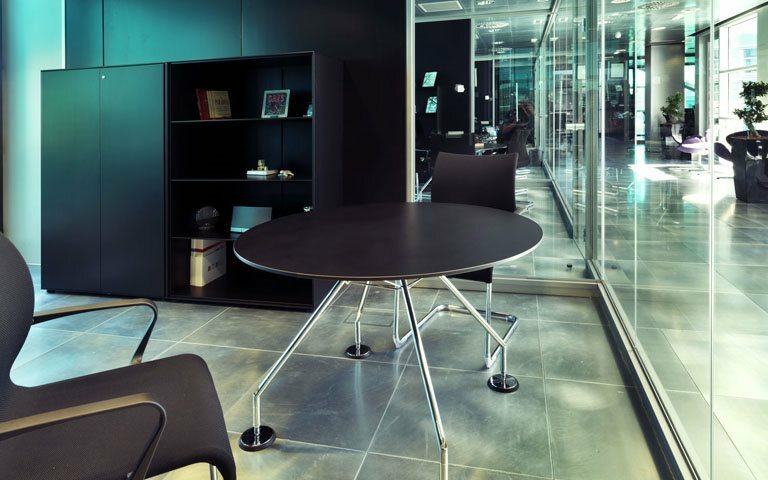 The meeting rooms featured special tables from the Nomos series by Foster + Partners, fitted with electrical connections, with square dimensions and a laminated juniper floorpan top with a chrome structure. 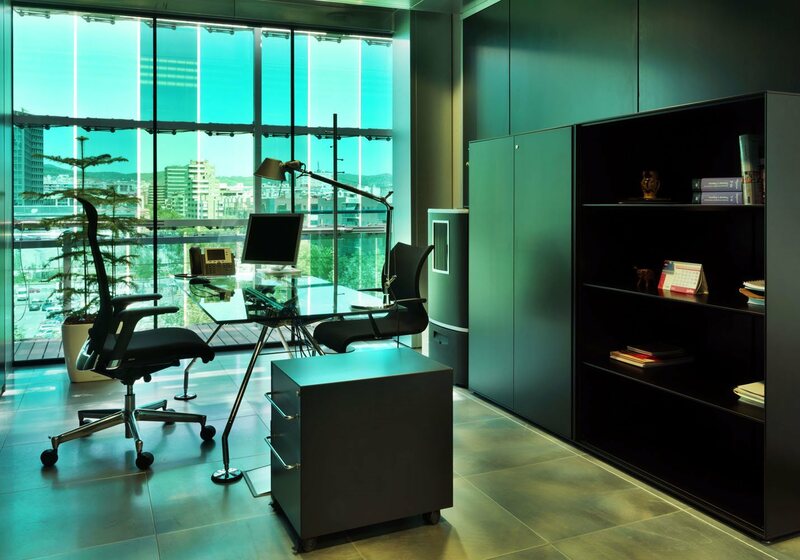 The matching storage came from the Cento range, with a lead grey lacquered finish. 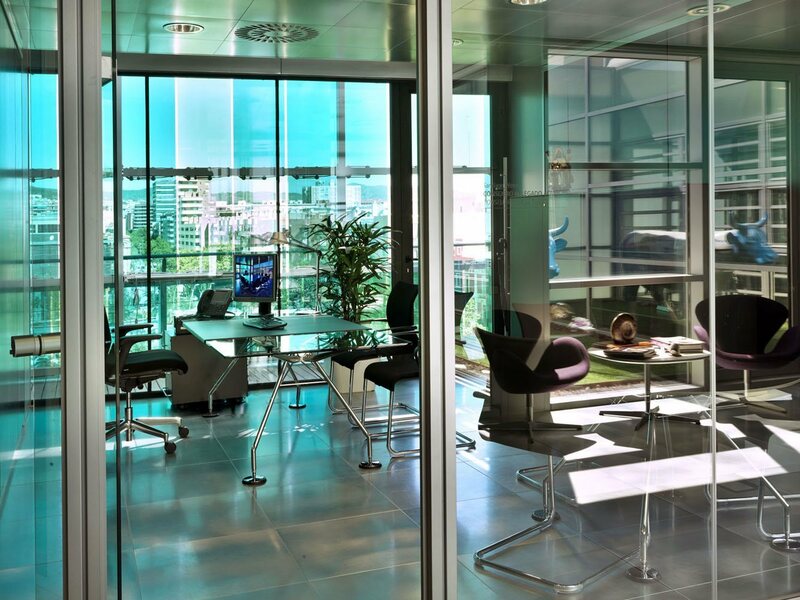 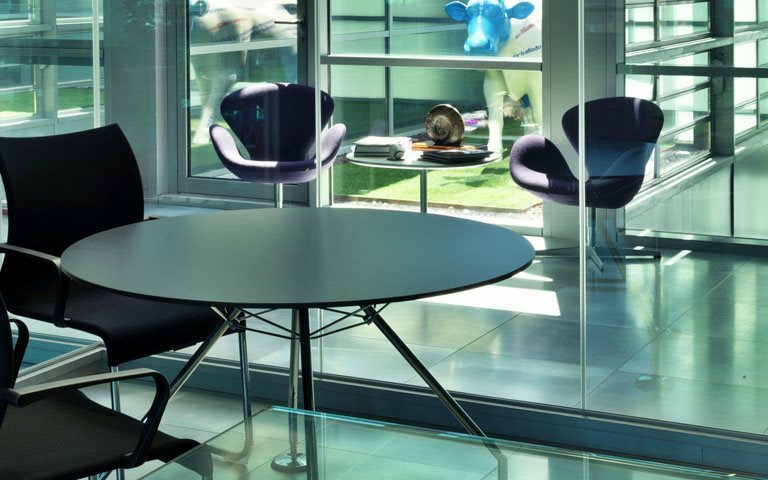 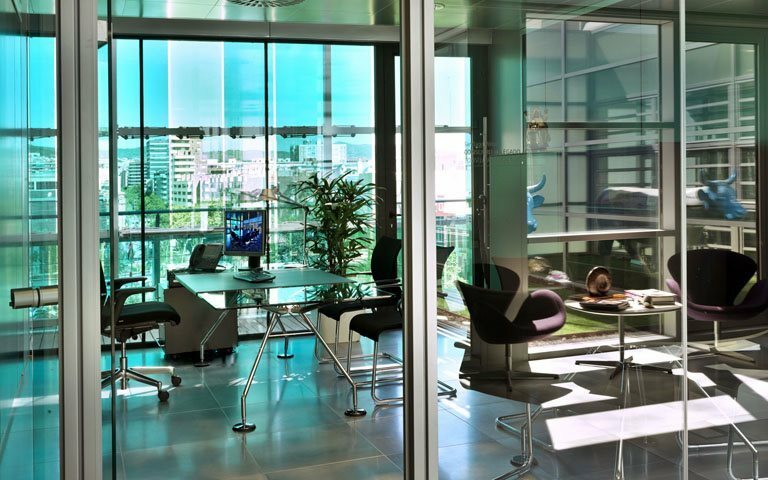 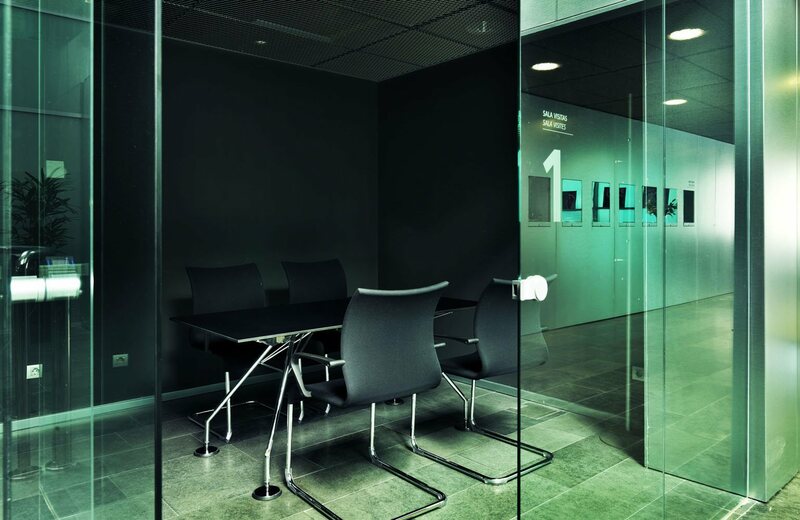 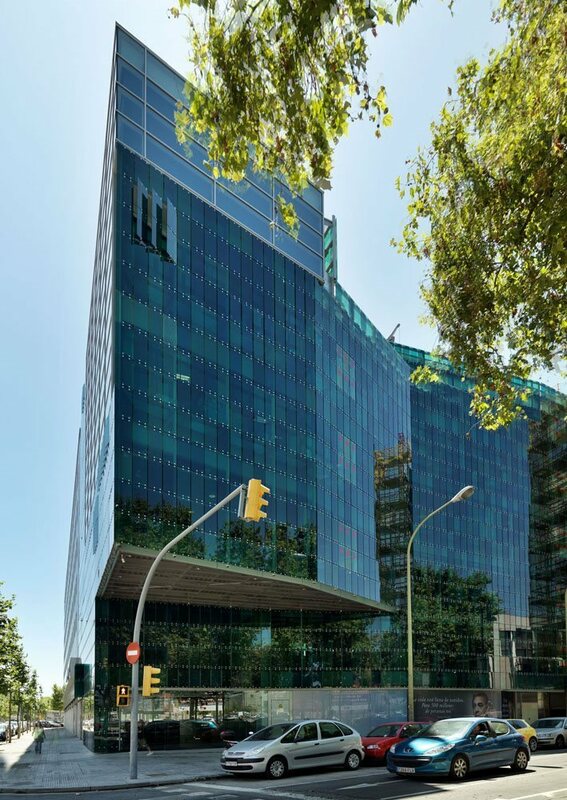 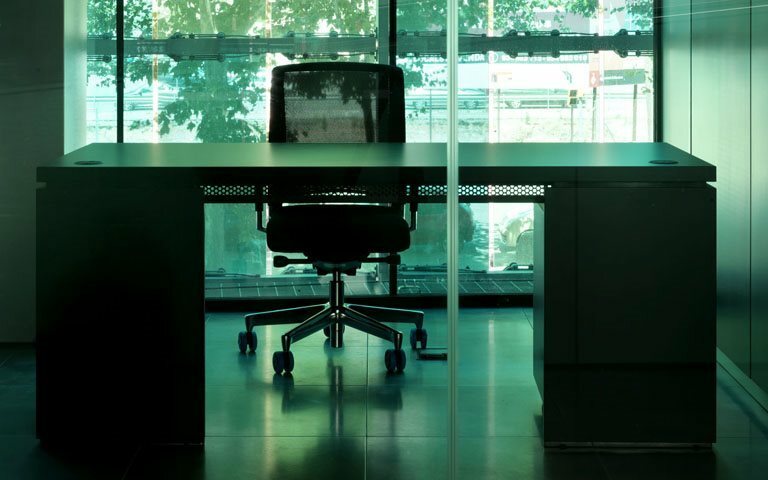 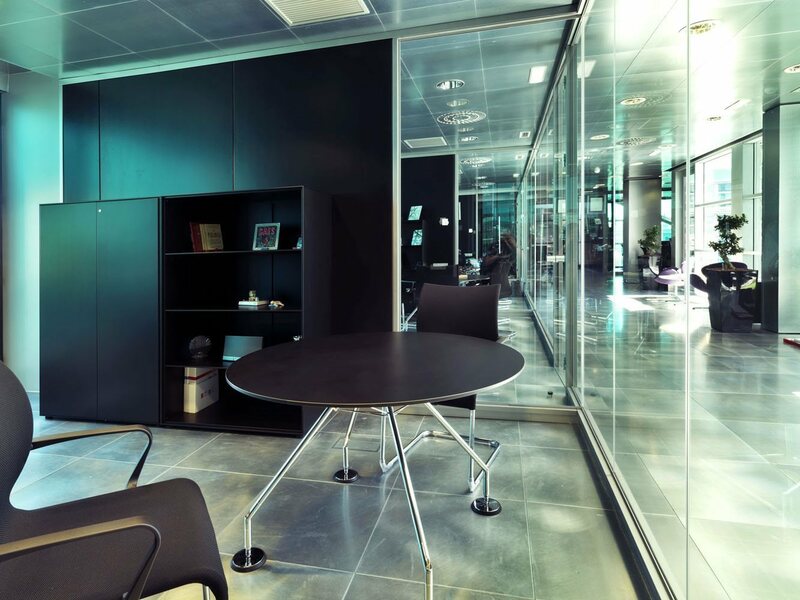 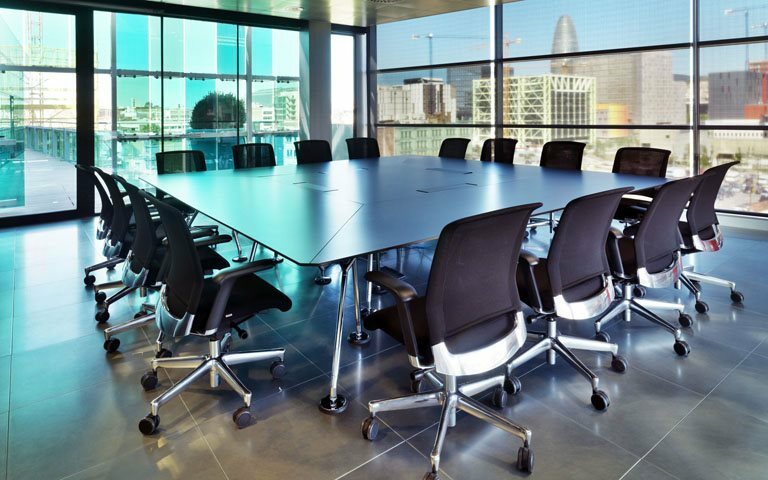 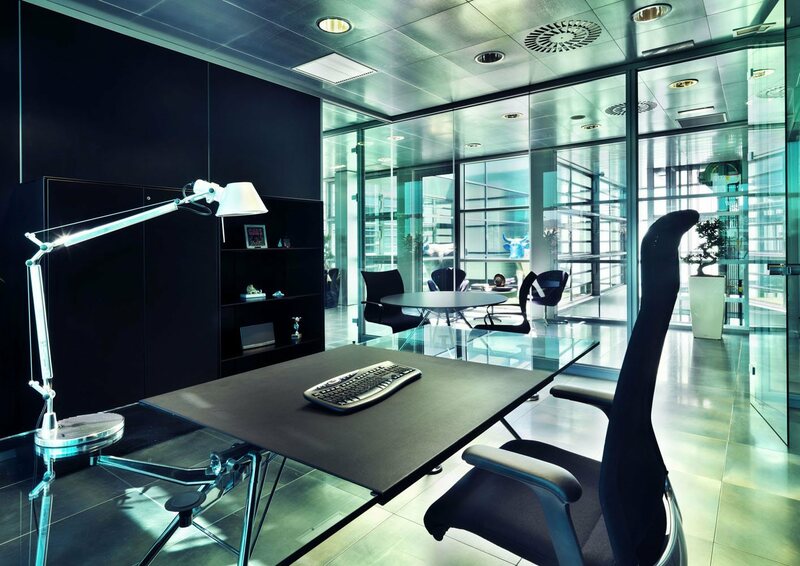 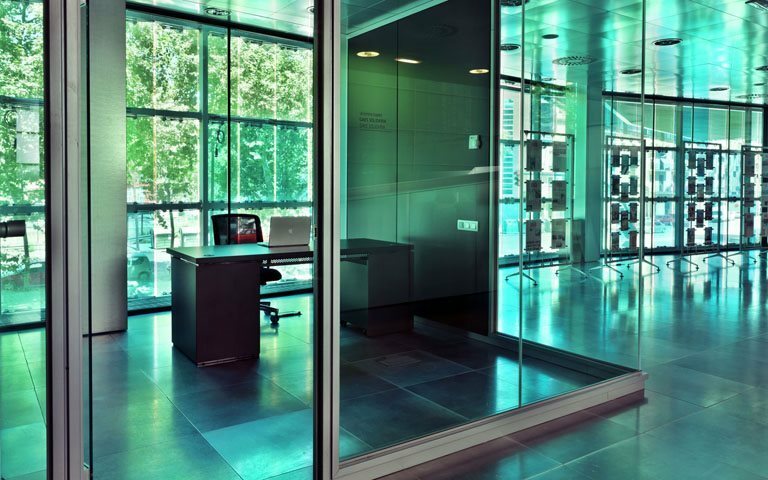 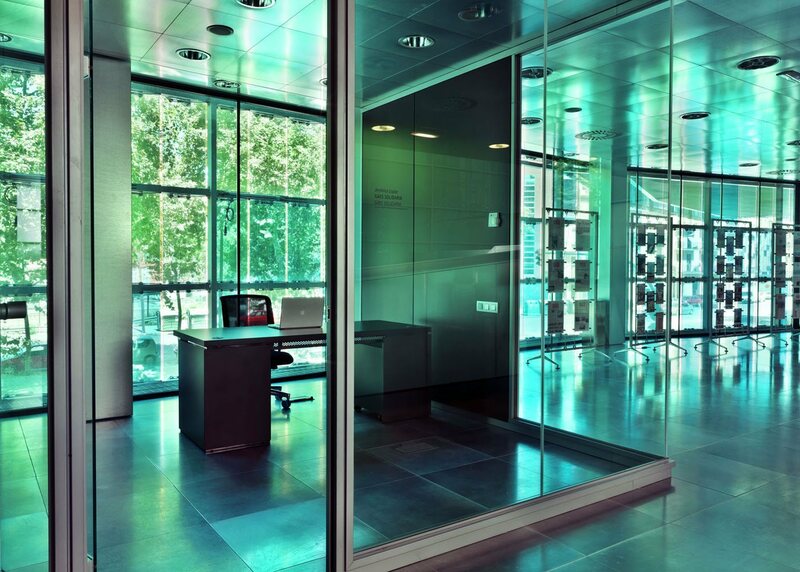 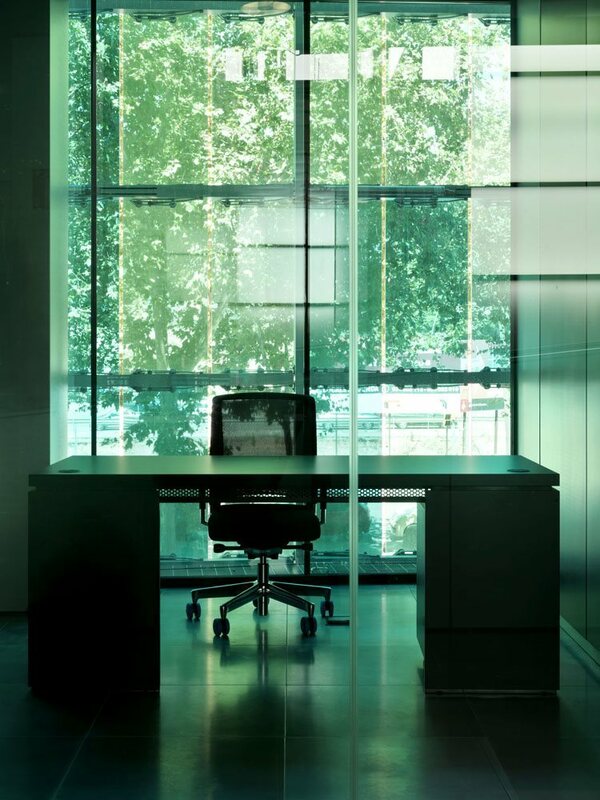 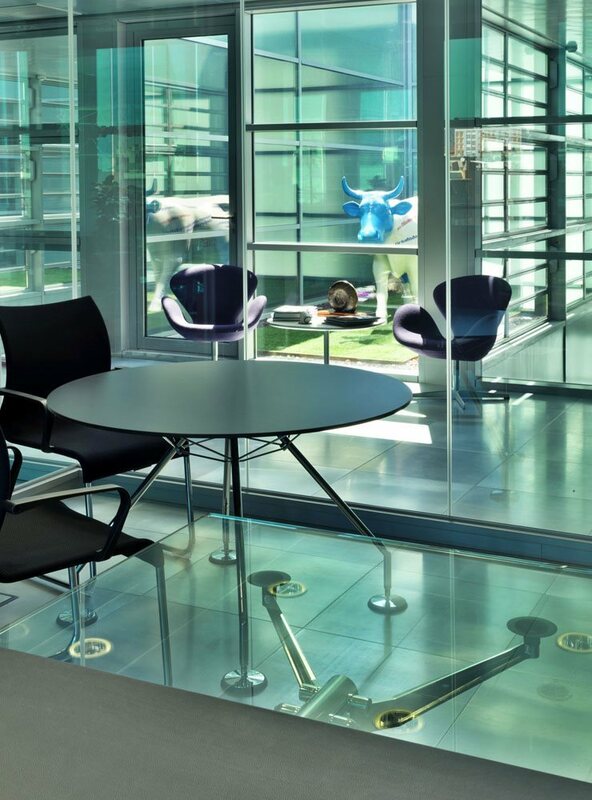 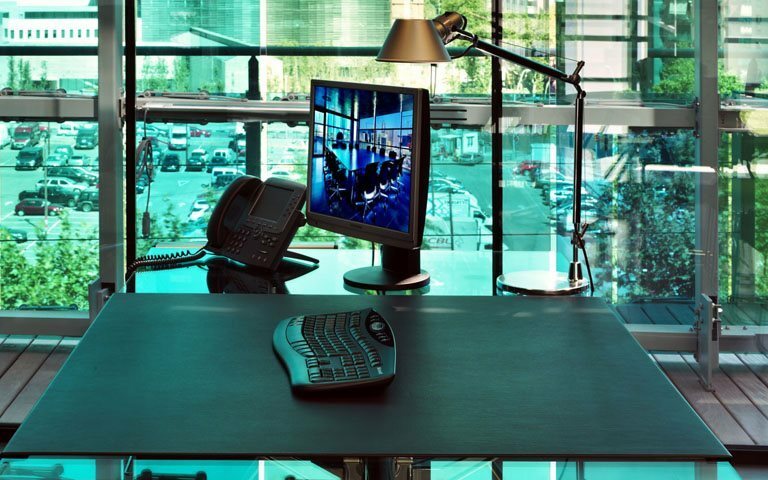 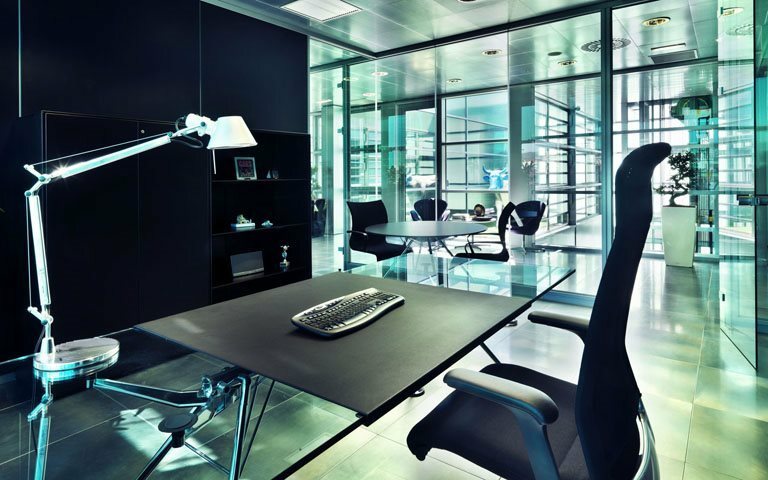 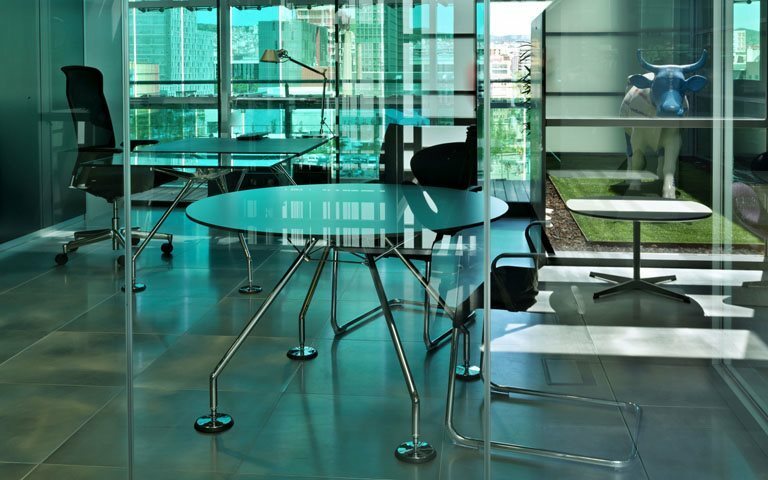 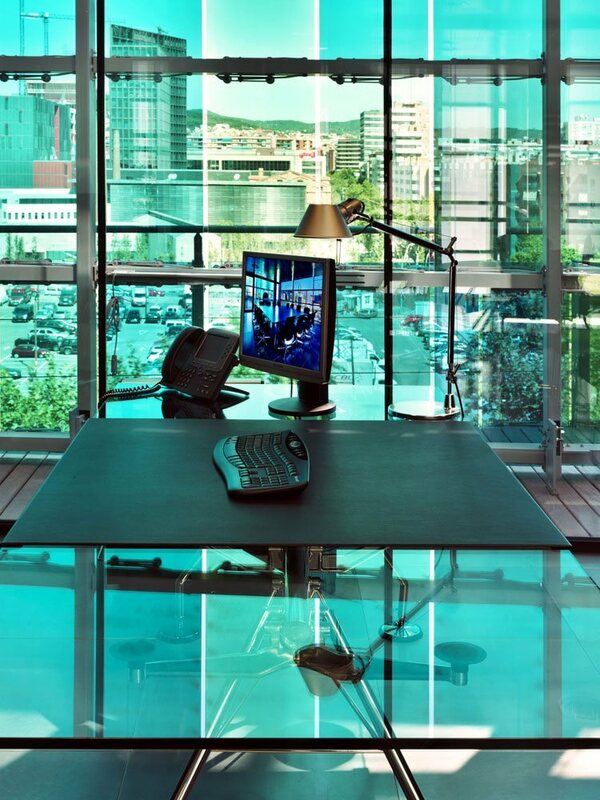 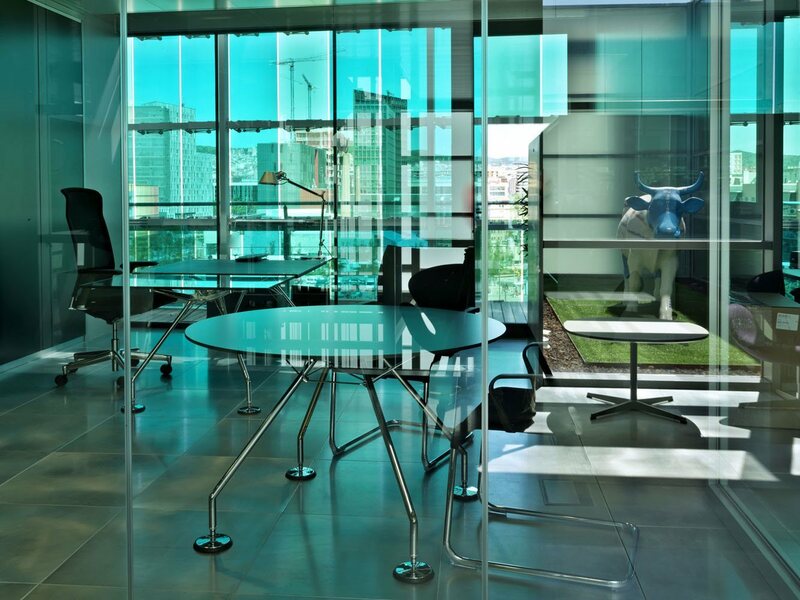 The executive offices were also equipped with tables from the Nomos range, with transparent tempered glass tops, a chrome structure, leather handrests and a transparent frame. 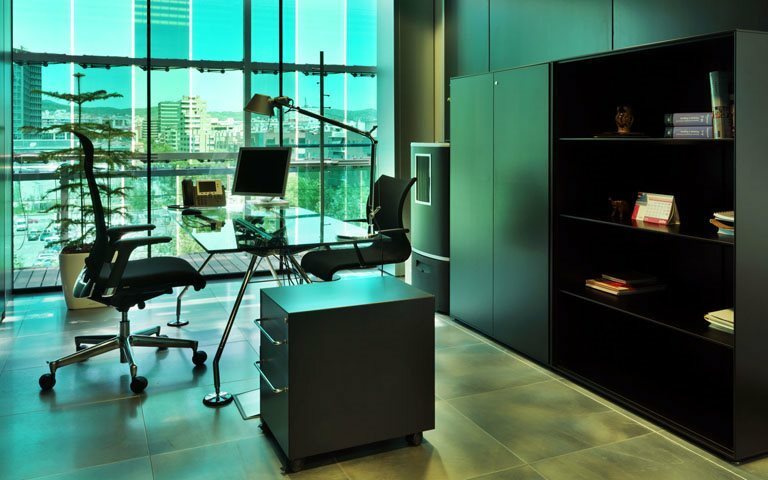 Finally, the individual workstations in the helpdesk area and the operations area comprised of Graphis desks in lead grey melamine with drawer units and cupboards from the Basic range painted in matt lead grey.